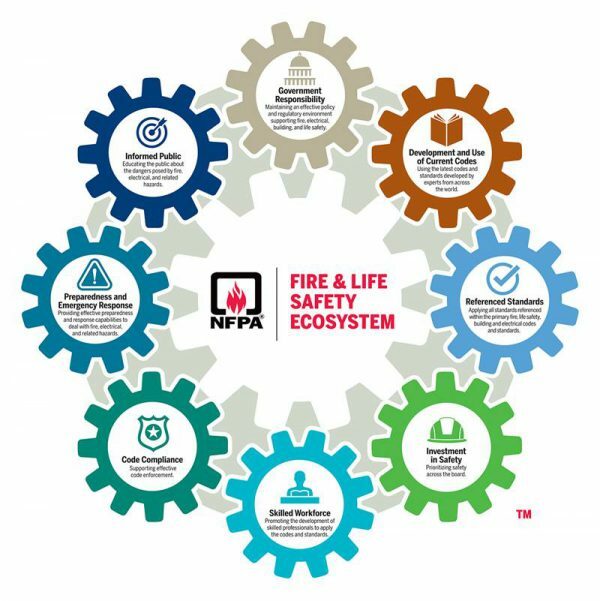 What’s a Fire and Life Safety Ecosystem? Government Responsibility: Policy makers must maintain effective policy and regulatory environment and not prioritize politics over the public’s safety. When life safety codes are stripped for any reason, people’s lives are endangered for the sake of political gain. Development and Use of Current Codes: Government and building designers must implement the latest codes and standards or risk losing the latest technology and research in fire, electrical, life safety. Referenced Standards: All standards within the fire, life, building, safety, and electrical codes must be addressed or the right products and practices will not be used, possibly leading to disastrous results. Investment in Safety: Property managers and need to make an investment in safety to comply with the latest standards and codes. 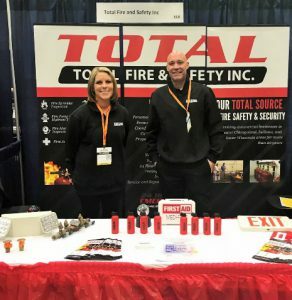 Hiring a company like Total Fire and Safety means an investment in safety. All the latest fire safety technologies are always available from TFS and we can design a program to fit any company’s needs and budget. Skilled Workforce: Promote the development of skilled professionals to apply the codes and standards. For over 20 years, TFS has employed highly skilled, highly trained, and highly dedicated workers in order to put customers’ safety above all else. Code Compliance: Effective code enforcement is necessary. Fire Marshalls and other officers must conduct regular inspections to ensure safety and code compliance. Preparedness and Emergency Response: Provide effective preparedness and emergency response capabilities to deal with fire, electrical, and related hazards. Train employees on emergency equipment, fire safety drills, designated leader in emergencies, etc.. TFS provides training classes for employees, as well as, informative literature on how to react in an emergency and much more. Informed Public: Educating the public is important, as is educating businesses about the specific fire hazards in their facilities. No one cog in the fire and life safety ecosystem can keep us all safe from harm. Even all the pieces together, working in tandem, may not prevent every disaster, but they can certainly prevent many. By practicing and implementing the various areas outlined in the fire and life safety ecosystem, we can all create a safer community. At Total Fire and Safety, we are committed to helping you play your role in the fire and life safety ecosystem. Contact us today to discuss your fire safety needs or call 630-960-5060. Category: Business Safety, Fire code violation, Fire Safety, Health and Safety, NFPA Compliance, Total Fire and Safety Tags: fire and safety equipment, fire and safety needs, fire and safety solutions, fire safety solution, fire safety training, Total Fire and Safety | Comments Off on What’s a Fire and Life Safety Ecosystem? Commercial first aid kits don’t have to be costly. Yet, when you start to compare commercial first aid providers, you will see some radical differences in pricing. Many first aid service companies find creative ways to drive up costs for their customers. At Total Fire & Safety, our customers never have to worry about “hidden costs” because there are none! Knowing what your company needs and being sure you are not paying for more can help your overall first aid budget and ensure you have the right first aid provider on your side. Here are some tips on hidden fees so you can avoid any surprise charges from your first aid service company. Make sure you know what is going in the box. It is possible that you don’t need many of the supplies the service stocks in your cabinet. Depending on your workplace, employees can experience minor cuts etc. However, overstuffing a kit with odd size bandages and unnecessary items like hand lotion, lip ointment, dental cream, etc. helps a company justify a higher invoice. At Total Fire and Safety we stock what is required by OSHA and what is directed by the client. No redundant or unnecessary items. Make sure you are not getting charged extra for “normal” items. Some companies charge extra for special items, like disinfectant wipes. Check your invoices! There are no surprises with TFS. Make sure you are not getting charged for additional representatives. 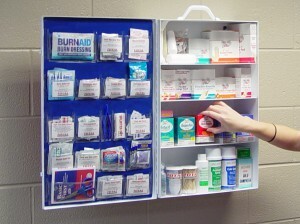 Some first aid companies have separate reps for stations, for example, first aid kits and eyewash stations. At TFS, your single representative is knowledgeable about all your first aid needs to streamline costs and deliver consistent quality service. Make sure the first aid service meets ANSI requirements. ANSI (American National Standards Institute) puts together the requirements for first aid supplies in the workplace. They provide a specific list for first aid kits. A service company might overlook this list in order to stock a kit with many unnecessary various types of items. At Total Fire and Safety, we provide supplies required by ANSI as well as OSHA. Make sure you understand the fees on the invoice. Do you see service or delivery charges, overstocking or restocking fees? First aid service companies pile these costs into an unreadable invoice. TFS does not charge service fees, fuel, or delivery charges. We only charge for items that employees have used. Have a question about the bill? TFS is there to answer any concerns. There are many services companies in business to make a buck at the expense and well-being of your company. You should not have to choose between a safe work environment and a cheaper bill. TFS recognizes the importance of a healthy workplace combined with the affordability of superior service. TFS never overcharges, overstuffs, or places hidden fees with in a first aid kit. We provide the right supplies to keep employees safe at work while always keeping costs down. For more than 30 years, Total Fire and Safety has been providing OSHA approved first aid kits and replenishment to businesses. If we can help with your first aid needs, contact us today at 630-960-5060. Next to the everyday hustle and bustle of the average office, office kitchen fire safety is a secondary concern. However, the National Fire Protection Agency (NFPA) reports that just over one-fifth of office fires begin in the kitchen or cooking area. Twenty-nine percent are started by cooking equipment, the leading cause of fires in the office. Although these fires started small, they caused major structure damage. 1. Replace worn or frayed power cords. Inspect power cords on the kitchen appliances. Are the wires exposed? If so, the cord can short out and cause a fire. Encourage your employees to keep an eye out for damaged cords. Be sure to replace them as soon as they are found. This one simple act will keep the office safe. 2. Watch food as it cooks. It easy to become distracted in the office, whether its fellow coworkers gossiping or doing too many things at once. 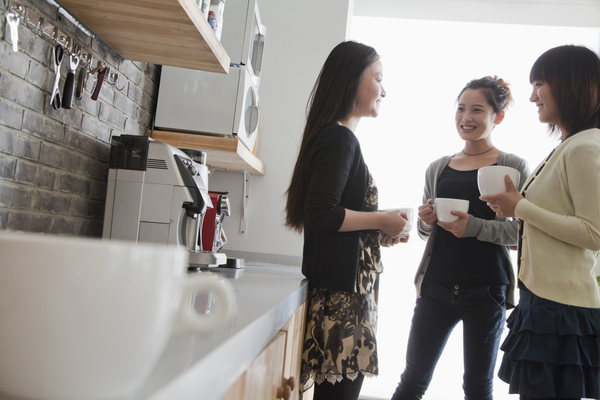 You wouldn’t leave food unattended at home and the office should not be any different. To ensure food cooks properly, emphasize that employees must stay near appliances as they cook or heat food/beverage. Employees using the kitchen also need to watch for signs of smoke or burning. Doing so will ensure the safety of the entire building. We’ve all been there. We stick a (insert food item) in the microwave, oven, toaster, etc., and it explodes or leaves spillage behind. However, we avoid cleaning, commonly thinking someone else will do it. Spills and baked-in foods left behind can cause a fire. Cleaning kitchen equipment after use will prevent grease from accumulating which prevents combustion. These hazards can be avoided easily so remind employees to wipe up spills, food particles left behind, etc. 4. Have employees trained to use a fire extinguisher. No matter how proactive you and your employees are, accidents still happen. Having staff trained to use fire fighting equipment could mean the difference between a catastrophe or a minor incident. Total Fire and Safety can train you and your employees to use a fire extinguisher, first aid equipment, and other lifesaving safety measures. With most office fires starting in the kitchen, it is important to educate employees on office kitchen fire safety. Total Fire and Safety (TFS) offers a complete fire training program to educate employees on the proper techniques of fighting a fire. Not only can your employees use these practices in the office, they can also apply them in their home. Keep you, your staff, and your workplace fire safe. Give TFS a call today at 630-960-5060. Are Your Employees Ready for Fire Prevention Week? Fire prevention week was instituted in commemoration of the Great Chicago Fire of 1871 which burned from October 8-10, 1871 and took the lives of nearly 300 people. It burned nearly 3.3 square miles of Chicago and left over 100,000 residents homeless. Forty years after the tragic blaze, the U.S. Fire Marshall used the anniversary to promote fire prevention and fire safety. In 1925, President Calvin Coolidge proclaimed fire prevention week as a national observance and it has become the longest running health observance in the country. Even though we know more now about fire prevention than ever before and we have better equipment too, the National Fire Prevention Association (NFPA) released a shocking statistic: if you reported a fire in your home, you are more likely to die today than you were a few decades ago. Today’s home fires burn faster, allowing occupants less than two minutes to escape without harm. Although the messages of Fire Prevention Week primarily focus on home fires, their messages can be applied at any location including businesses, warehouses, and other commercial spaces. Fire prevention week is a time to draw attention to the fire safety practices within your company using the resources provided by fire departments, the NFPA, and companies like Total Fire and Safety. Update signage, fire extinguishers, alarms, sprinkler systems, etc. Provide training classes on first aid and using fire safety equipment. Look for places a fire could begin. Identify potential fire hazards in your workplace and remove them. Listen for the sound of the alarm. As soon as the alarm sounds, make your way out of the building at a safe distance from the fire. Learn two ways out of every room. Make sure all exits leading outside are free of clutter, unlocked and have emergency lights if necessary. Fire prevention week is also commemorated at fire stations all over the area with special open houses and related programs. Here’s a roundup of some of the events in the Total Fire & Safety service area. For more information, see the website for each individual fire department. If we can ever be of help to you during fire prevention week or any other time during the year, call Total Fire and Safety to ensure your business in in NFPA compliance with all of your commercial fire protection at 630-960-5060. Tinley Park Fire Department: 17355 68th Court, Tinley Park, 9 a.m. – 1 p.m.
Schaumburg Fire Department: 950 W. Schaumburg Road, Schaumburg, 11 a.m. – 2p.m. Clarendon Hills Fire Department: 316 Park Ave., Clarendon Hills, 11 a.m. – 2 p.m.
Minooka Fire Department: 7901 E. Minooka Road, Minooka, 11 a.m. – 2 p.m.
Hazel Crest Fire Department: 2903 W. 175th St., Hazel Crest, 9 a.m. – 12 p.m.
Bensenville Fire Protection District: 500 S. York Road, Bensenville, 12 – 3 p.m.
Darien-Woodridge Fire Department: 7550 Lyman Ave., Darien, 10 a.m. – 1 p.m.
Belvidere Fire Department: 123 S. State St., Belvidere, 1 – 4 p.m.
Evanston Fire Department: 1817 Washington St., Evanston, 11 a.m. – 3 p.m.• West Chicago Fire Department: 200 Freemont St., West Chicago, 10 a.m. – 2 p.m.
Cissna Park Fire Department: 206 N. 2nd St., Cissna Park, 11 a.m. – 5 p.m.
Lake Zurich Fire Department: 321 S. Buesching Road, Lake Zurich, 11 a.m. – 2 p.m.
Mokena Fire Department: 19853 S. Wolf Road, Mokena, 7:30 a.m. – 12 p.m.
Peotone Fire Protection District: 7550 W. Joliet Road, Peotone, 11 a.m. – 3 p.m.
Western Springs Fire Department: 4353 Wolf Road, Western Springs, 6 – 8:30 p.m.
Downers Grove Fire Department: 6701 Main St., Downers Grove, 6:30 – 8:30 p.m.
Crete Fire Department: 524 W. Exchange St., Crete, 5 – 8 p.m.
Beecher Fire Department: 711 Penfield St., Beecher, 5:30 – 8:30 p.m.
Charles Fire Department: 112 N. Riverside Drive, St. Charles, 12 – 3 p.m.
Harlem Roscoe Fire Protection District: 10544 Main St., Roscoe, 11 a.m. – 3 p.m.
Schiller Park Fire Department: 9526 Irving Park Road, Schiller Park, 11 a.m. – 2 p.m.
Northbrook Fire Department: 1840 Shermer Road, Northbrook, 9 a.m. – 12 p.m. Crystal Lake Fire Rescue Department: 100 W. Woodstock St., Crystal Lake, 11 a.m. – 2 p.m.
Glen Ellyn Fire Department: 524 Pennsylvania Ave., Glen Ellyn, 10 a.m. – 1 p.m.
Channahon Fire Department: 24929 Center St., Channahon, 11 a.m. – 2 p.m.
Elk Grove Village Fire Department: 101 Biesterfield Road, Elk Grove Village, 12 – 3 p.m.
Rolling Meadows Fire Department: 2455 Plum Grove Road, Rolling Meadows, 10 a.m. – 2 p.m.
Lemont Fire Protection District: 15900 New Ave., Lemont, 11 a.m. – 2 p.m.
River Forest Fire Department: 400 Park Ave., River Forest, 10 a.m. – 2 p.m.
Northlake Fire Department: 118 E. Parkview Drive, Northlake, 12 – 3 p.m.
Elgin Fire Department: 650 Big Timber Road, Elgin, 10 a.m. – 3 p.m. Prospect Heights Fire Protection District: 10 E. Camp McDonald Road, Prospect Heights, 10 a.m. – 2 p.m.
Byron Fire Department: 123 N. Franklin St., Byron, 11 a.m. – 3 p.m.
Manteno Fire Department: 13 S. Walnut St., Manteno, 12 – 3 p.m.
Elmhurst Fire Department: 601 S. York St., Elmhurst, 12 – 4 p.m.
North Palos Fire Protection District: 10629 S. Roberts Road, Palos Hills, 7 a.m. – 12 p.m.
McHenry Township Fire Protection District: 3710 Johnsburg Road, Jonhsburg, 10 a.m. – 1 p.m.
Dolton Fire Department: 14022 Park Ave., Dolton 10 a.m. – 3 p.m.
La Grange Park Fire Department: 447 N. Catherine Ave., La Grange Park, 10 a.m. – 1 p.m.
Hoffman Estates Fire Department: 225 Flagstaff Lane, Hoffman Estates, 1 – 4 p.m.
Sycamore Fire Department: 2100 Frantum Road, Sycamore, 11 a.m. – 2 p.m.
Total Fire and Safety has a dedicated team of professionals that use the best technology to test and inspect fire safety equipment in any commercial building. TFS also provides training classes to educate employees both in the classroom and on-site. Knowledge is power and the more your employees know, the better they can protect themselves. What better time to spread the word than fire prevention week! If we can help you with your fire prevention in October or anytime, give Total Fire and Safety a call at 630-960-5060. Category: Fire Extinguishers, Fire Extinguishers, Fire Safety, Sprinkler Systems, Total Fire and Safety Tags: fire and safety equipment, fire and safety needs, fire and safety solutions, Fire Extinguisher, lifesafety, Total Fire & Safety, Total Fire and Safety, training | Comments Off on Are Your Employees Ready for Fire Prevention Week? Most companies understand the mandate to have regular fire extinguisher inspections but many wonder why on earth a company could actually fail these inspections. After all, a fire extinguisher is rarely used so how can it need service? Chances are you see a fire extinguisher every day, but how closely do you look at it? Even one dent in the tank can change the outcome. According to the NFPA, nearly 30 percent of fire extinguishers are not in proper working order. Total Fire and Safety’s twelve-point check can ensure your company’s compliance. However, there are five main reasons why companies fail a fire extinguisher inspection. 1. Unseen Damage– Corrosion or damage can occur over time in hard to see areas of the extinguisher, for example, rust within the tank. That is when a professional steps in and inspects the extinguisher inside and out. TFS will visually examine the extinguisher making sure it is free of dents, rust, or other hazards. 2. Potential Hose Blockage– Debris can clog the hose or deterioration of the O-rings can occur over time, rendering a fire extinguisher useless in an emergency. TFS will remove the hose completely to check for irregularities. 3. Possible Leaks– Whether large or small, a leak will cause the fire extinguisher to be inoperable. Anyone can check the pressure gauge to determine if there is a leak. However, if there is no pressure gauge, you will need a professional. TFS will confirm the compression in the tank. 4. Wear/Fading of Labels– Labels are vital when fighting a fire because they contain instructions on how to use the extinguisher. They also provide important information about the device’s maintenance history, which is needed by inspection professionals. Once your fire extinguisher inspection is complete, the labels will be updated, and an additional certification tag will be attached. 5. Recharging Needed– Once a fire extinguisher is used, even partially, it will need to be recharged immediately. If you fail to recharge the extinguisher, it will fail you in a fire. Although these are common reasons companies fail fire extinguisher inspections, there are other possible hazards not listed. It is important to stay up-to-date with your fire extinguisher inspections. The NFPA requires inspection every month and maintenance every year by a professional. In addition, a stored pressure extinguisher requires internal maintenance every six years and a hydrostatic test every 12 years. 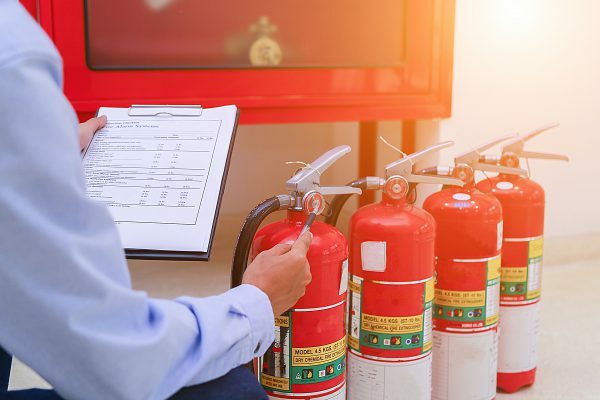 It takes a minute for a fire to spread and cause irreparable damage to your company—the same amount of time it takes to schedule a fire extinguisher inspection! Total Fire and Safety can inspect your fire extinguishers to ensure they are unfailingly ready to fight fire at a moment’s notice. We also provide onsite training for your employees, including hands-on practice in the use of a fire extinguisher. Give us a call today at 630.960.5060. Are You In the Dark About Emergency Exit Lights? Nobody thinks much about emergency exit lights. But if the power suddenly goes out, smoke fills the room and you can’t see a foot in front of you, relying on the emergency lights may be your only means of escape. 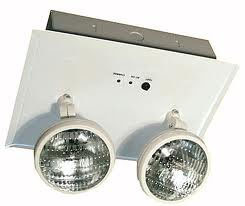 Emergency exit lights are essential to safety in any dangerous situation. They can alarm someone in a fire, be the only source of light in the dark, and the key to safely exiting the building. Emergency exit lights are often overlooked and taken for granted, but take note of how many you come across every day. Do you realize how many requirements and regulations go into the installation and maintenance of one exit sign? There are numerous agencies that govern emergency exit lighting and signs: OSHA (Occupational Safety and Health Administration), NFPA (National Fire Protection Administration, JCAHO (Joint Commission on Accreditation of Healthcare Organizations and the International Building Code and International Fire Code. Above all these agencies, the local authority is responsible for monitoring and enforcing building/fire codes. Exit access-part of the exit route that leads to an exit. Exit-part of the exit route that is separated from other areas and provides a safe means of travel to exit discharge. Exit discharge-part of the exit route that leads to directly outside or refuge area. OSHA’s requirements for the lighting of these afore mentioned exit routes is covered under 1910.37(b). It states that each exit route must be sufficiently lighted so an employee with normal vision can see along the exit route and each exit must be clearly visible and marked by a sign reading “EXIT.” Additional information for OSHA requirements can be found at www.osha.gov. The NFPA guidance for emergency exit lighting and signs can be found in the NFPA 101, Life Safety Code. The NFPA’s Life Safety Code provides information for placement, illumination, and visibility for exit signs. Placement of exit sign. Any exit signs must be located so that no point in an exit access area is more than the sign’s viewing distance, or 100 feet from the nearest sign. 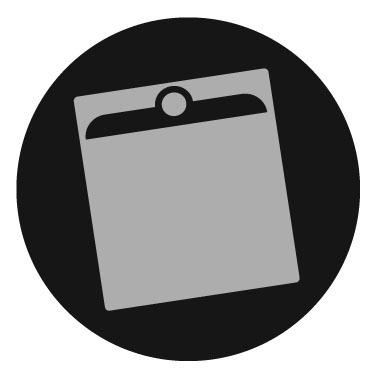 Visibility of exit signs-Every sign must be located and of such size, distinctive color and design that is visible and contrasts from the background of its placement. NFPA also states no decorations, furnishings, or equipment that impairs visibility of a sign shall be permitted. Nothing should be placed near an exit sign that distracts attention and inhibits visibility of an exit sign. Illumination of Exit Signs-The NFPA states all exit signs must be illuminated by a reliable light source and legible in normal and emergency exit lighting modes. There are two categories of illumination: external illumination, which comes from outside the exit sign and internal illumination, which comes from a source inside an exit sign. According to the NFPA, emergency illumination must be provided for a minimum of 1.5 hours in the event of power outage. The emergency lighting must be illuminated not less than an average of one lumen per square foot. The maximum illumination at any point can be 40 times the minimum illumination. All emergency exit lighting must be able to provide lighting automatically when normal light is interrupted. Many emergency exit lights are now using LED lights. The NFPA states that LED lights are longer lasting, provide better light and are most durable. In emergency situations, LED lights emit sufficient lighting and are most effective when placed properly. They are also most energy efficient, saving the building money. According to the NFPA requirements for testing, there are three categories of emergency lights: traditional, self-testing, and computer base self-testing. A monthly activation test which involves having the lights illuminate for no less than 30 seconds and an annual test which keeps the lights illuminated for 1.5 hours, simulating a long-term emergency. Records of these test must be maintained for inspection. Many regulations, codes, and considerations go into the signs and lights you see every day so it is important to have regular maintenance and testing of these lights. Total Fire and Safety has a knowledge team for inspecting emergency exit lighting. With regular maintenance and testing from Total Fire and Safety, you can be assured your emergency exit lighting is up to code and the safety of your employees/tenants is assured. Give us a call today 630-960-5060. Category: Business Safety, Fire code violation, Fire Equipment Inspections, Fire exits, Fire News, Fire Safety, Health and Safety, LED Lighting, NFPA Compliance, Total Experience, Total Fire and Safety Tags: commercial fire protection, commercial fire safety, emergency exit lights, emergency lighting, fire and safety equipment, fire and safety needs, fire and safety solutions, fire safety in the news, fire safety solution, fire safety training, lifesafety, safety | Comments Off on Are You In the Dark About Emergency Exit Lights? Robin Jones, business development (left) and Jason LeGrand (outside sales) at the latest Co-op and Condo Expo at Navy Pier in Chicago. Did you stop by and see us at the latest Co-op and Condo Expo at Navy Pier in Chicago? Our team was on hand to talk to condo owners, homeowner association board members, property managers and apartment building owners about their fire safety. We participate every year, not only to meet new prospective clients, but to see our many satisfied ones that come for the educational seminars and exhibit floors. Visitors to our booth walk away with one of our fire extinguisher-shaped stress balls (if you don’t have one, ask your Total Fire & Safety technician!) and a better understanding of their fire safety responsibilities as property owners or managers. What were the most frequently asked questions? We hope to see you at the show next year! Until then, if we can be of assistance with your fire safety needs, don’t hesitate to contact us at 630.960.5060. We cannot overstate the importance of first aid requirement for the workplace. If you read through the OSHA requirements for first aid kits and first aid training, and the ANSI minimum first aid equipment for businesses, you may notice that a lot of the details are left up to the business owner. That is because every business is different, and will have different risks depending on the equipment involved in the business. A simple office space might have a small, basic first aid kit, while a car mechanic would probably need a much more complex one. Here are five steps to help guide you through the process of determining what first aid kit and training your business and your employees need. 1. What are the most common injuries in your industry? Think about the equipment involved with your industry, and what kind of accidents can happen with that equipment. Make sure you satisfy the first aid requirement for workplace accidents to handle the most probable injuries within your specific business. 3. How close are you to the nearest hospital or medical center? In the event of an emergency, how long would it be until help arrived? If your business is in a remote location, you might need extra first aid materials to handle an emergency for a longer length of time. 4. How many employees do you have? Make sure there are enough first aid kits to handle an emergency where multiple people are injured. 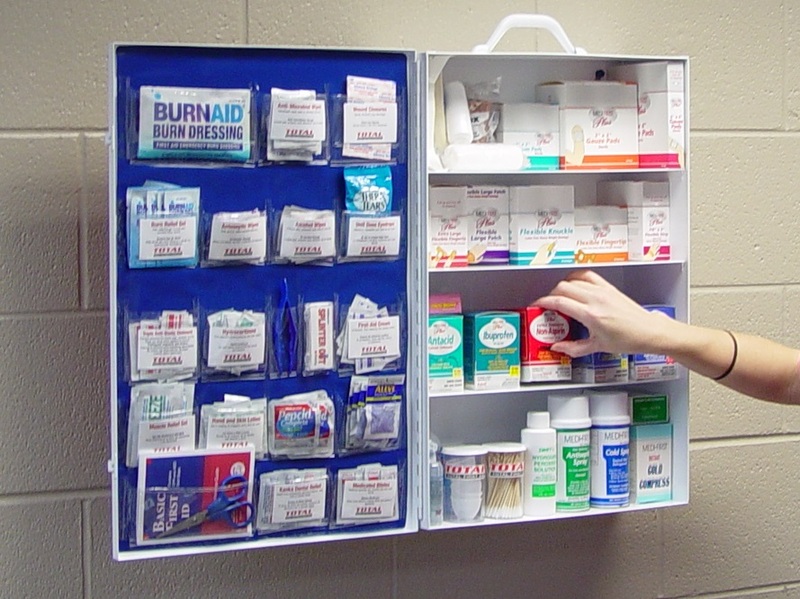 The more employees you have, the more first aid kits you should have. 5. Consider the layout of your workplace. Make first aid kits easy to get to, and easy to see. They must be clearly labeled, and all employees should know where they are. Also make sure that the first aid kits are accessible in the areas which are most prone to accidents, such as the kitchen in a restaurant. There are a lot of options for both first aid kits and training. Make sure to think about restocking first aid kits and offering training to new employees. First aid requirements for workplace accidents can include portable kits or wall mounted kits, designed for indoor or outdoor use. For first aid training programs, make sure you go with a quality program that will teach your employees how to handle emergencies that are most likely to occur in your workplace. Cover the basics, and go beyond, to keep your employees healthy and safe. If you have questions or concerns about first aid kit or training compliance, Total Fire and Safety is you one-stop source for all fire safety and first aid needs. Feel free to contact us at 630-960-5060. Do you have a Kidde fire extinguisher at home? The Kidde plastic valve disposable fire extinguisher has been recalled because of a faulty valve component that can cause failure to fully discharge when the lever is repeatedly pressed and released during a fire emergency. According to Kidde, about 4.6 million units in the U.S. and 175,000 in Canada have been sold with the faulty Zytel® black plastic valves. This affects 31 models of Kidde disposable fire extinguishers. Kidde has received 11 reports of the recalled fire extinguishers failing to discharge as expected, but no injuries have been reported. The recalled extinguishers are red, white or silver and are either ABC or BC rated. The ratings can be found to the right of the nameplate. Manufacture dates included in the recall are July 23, 2013 through October 15, 2014. A 10-digit date code is stamped on the side of the cylinder, near the bottom. Digits five through nine represent the day and year of manufacture in DDDYY format. Date codes for recalled units manufactured in 2013 are XXXX 20413 X through XXXX 36513 X and 2014 are XXXX 00114 X through XXXX 28814 X. A nameplate affixed to the front of the fire extinguisher has one of the following model numbers: FC10BC, 1A 10BC, 1A 10BCW, 2A10BC, 5BC, 5BCW, FA10G, FA110, FA5B, FC10, FC110, FC5, FH/RESSP, FX10, FX10BC, FX10K, FX210, FX210R, FX210W, FX340GW, FX340SC, FX511, KFH Twin, M110 Twin, M5 Twin, Mariner 10,Mariner 110,Mariner 5,Mariner 5 G,RESSP,XL 5MR, XL 5MR. The extinguishers were sold at Home Depot, Menards, Walmart and other department, home and hardware stores nationwide, and online from August 2013 through November 2014 for between $18 and $65, and about $200. 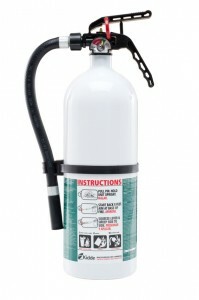 Consumers with the recalled fire extinguisher should immediately contact Kidde for a replacement! Their toll-free line is (855) 283-7991 from 8 a.m. to 5 p.m. ET Monday through Friday, or online at www.kidde.com and click on Safety Notice for more information. Category: Fire News, Fire Safety, Uncategorized Tags: fire and safety needs, Fire Extinguisher, fire safety recall, fire safety solution, Total Fire & Safety | Comments Off on KIDDE FIRE EXTINGUISHER RECALLED! At Total Fire & Safety, most of our commercial fire protection service customers are based in the “snow belt”, which includes Illinois, Wisconsin and Indiana, where ice and sub-zero temperatures can cause troublesome pipe freezing.While most buildings take advantage of dry pipe systems, which are ideal for cold weather areas, building owners who have water-filled fire protection equipment need to take some cold weather precautions to stay safe. It is the responsibility of every building owner with at-risk equipment to ensure that the building temperature remains at 40 degrees Fahrenheit or above at all times. In buildings where there are sprinkler valve rooms and pump houses with small diameter valve trim piping, a freeze can occur within a few hours after the temperature falls below 32 degrees. 1. Carefully testing fire equipment for the first time after the heating system has been turned on. In areas with smoke detectors, the fire detection system should be disabled so accumulated dust on the heat strips will burn off but not set off the alarm. In the worst case scenario, if smoke detectors activate unexpectedly, various sensitive electrical/data equipment rooms protected with the gaseous fire suppression systems (FM-200, Halon, CO2, etc. ), could discharge. 2. Checking that all ambient heaters and heat tracing used for the fire protection equipment are operating for the cold weather. 3. Inspecting the integrity of the piping and equipment insulation. 4. Noticing and troubleshooting where residual discharge water or condensation may have accumulated on low point drains on dry pipe and in pre-action and deluge pilot systems before opening the drain valves. 5. Checking air dryers in your dry pipe, pre-action, or deluge pilot systems. 6. Checking antifreeze solution in your antifreeze sprinkler systems. These systems are still permitted until September 30, 2022 as long as they meet all NFPA requirements. 7. Checking that drip drains on your hydrants, FDCs, valve trims and similar equipment are evacuating water from the system. 8. Installing low temperature alarms in any location that could be subject to freezing temperatures. 9. Helping you devise a plan to shorten downtime and stay safe in case the fire sprinkler system freezes. If you’re wondering if your fire protection service is ready for the cold, Total Fire & Safety has the guidance and expertise you need to protect your property this winter. Contact us today at 630-960-5060. Will your fire sprinkler system work when the heat is on?